1/2 a yard for the liner. I always have my hands full with my little boys on each hand and one in the arms. 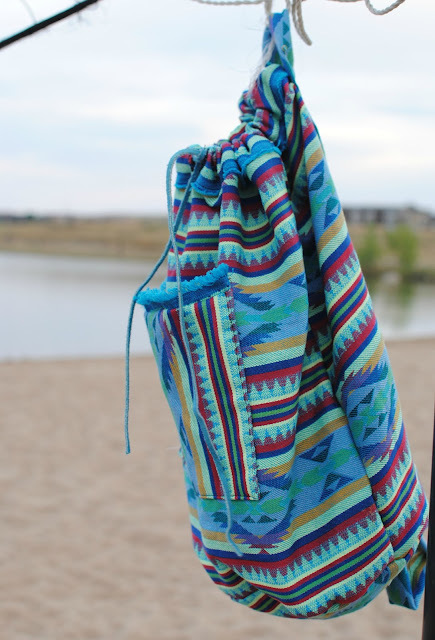 I love backpacks and wanted to create one that would be functional and fit my style. I created this simple pattern to that works well with my life. You will need to piece the front/back part together by taping them. It will read place on fold if attached correctly. You can print actual size but if you scale it to fit that's fine it will just be a tad smaller. You will need to add 1/2 inch seam allowance. I just add it when cutting the pattern out. You will also need to draft 3 strips for the casing and straps if you chose to use fabric. Make sure to place the pattern on the fold for the front and back pieces. Press seams of pocket 1/4 inch over toward wrong side. Sew the top 1/4 inch over. Place the pocket in the middle of the front piece. To get the middle simple fold front piece in half long ways and press a line down the middle. Do the same for the pocket and then line up the pressed marks. Top stitch around leaving top flap open. 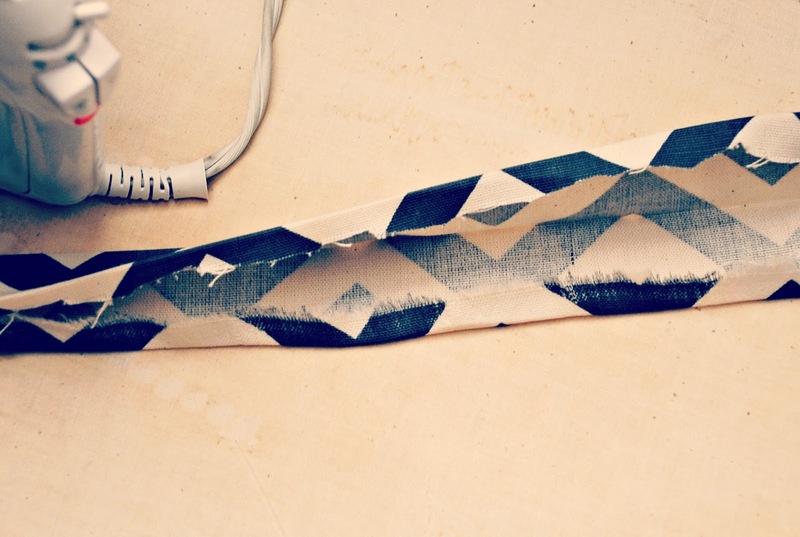 You can make your own straps or purchase it from the fabric/craft store. 2 yards should be enough. For the straps I cut 2 strips 3in. by 28in. long and sewed them right sides together. I pulled it through with the loop turner above. I ironed them flat so the seam was down the middle of the back. Fold an end of the strap over an inch and sew a square evenly on the back panel. I lined them up 2.5 inches down from the top and 4 inches from the sides. Line the other end with the darts on the bottom and topstitch. Sew the front and back panels right sides together. Create a liner by cutting another front and back piece and 1 bottom. 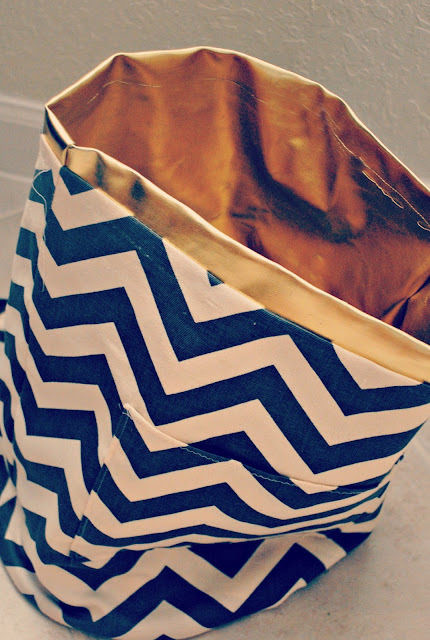 Repeat the steps to make the liner but without the straps, you can add the pocket for more storage. Flip the liner inside out and sew right sides together leaving about a 4 inch hole so you can pull it through. or...I wanted a draw string so I made a strip that measured all the way around the back pack plus 1/2 an inch for seam allowance and 4 inches in width. I then pressed the edges 1/4 inch over and then pressed the whole strip in half. At the half way point sew 2 button holes on the front half of the strip about 1 inch apart. You can do grommet holes if you have the plier set. Sew the casing together to form a loop by placing them rights sides together and sewing. It should evenly fit all the way around the top edge. Pin to make sure it fits all the way around and adjust if necessary. Line the buttonholes up in the middle. That's it...simple project with a great turn out. I love it, gold liner is fantastic! It's so darling!!!! Thanks for posting I cannot even wait to get started! Awesome DIY- that looks great! 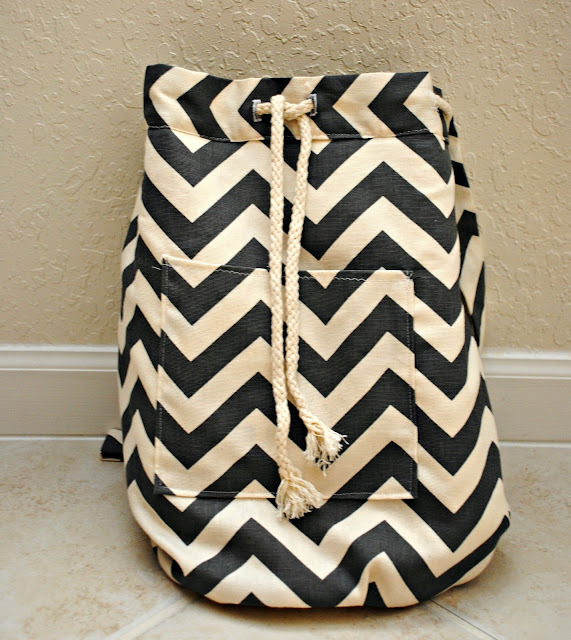 Love the chevron pattern. The gold lining and leather is a nice touch! Great DIY! Love it.. right down to the fabric! This is going on the list for sure! I HAVE to make one of these! Where did you get your fabric? I want to wait to buy your pattern until I've found some fabric for it and I have the hardest time finding fabric I love. Thank you!!! I'll have to check it out. 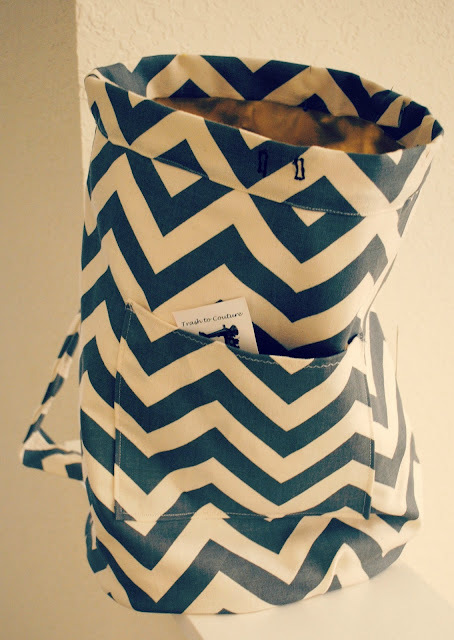 I really want to make one of these bags.. Totally beats carrying around a big diaper bag or something. Thanks so much for the idea! I'm in love with your blog. Did anyone tell you that you're a genius? Jeeesus, I'm in love with your works (Yours, not Jesus). Now I know what I'm going to make for myself, a great substitute for my school bag. Can't wait till spring. I admire that you do something completely different than anyone else. You just do not repeat the same schemes but create a new one. This is such a great idea. I love the fabric you chose. I am extremely excited to see something as clever ss this. Put a waterproof liner in it and you have a beach bag, insulate it, and picnic bag, I like it much better than the traditional backpacks. Thank you so much. can you add a pocket? can you add a flap? Is that duck fabric? Because I'm pretty sure I have a bunch of extra of that exact same fabric that I have now decided what to do with. Thank you so much for this tutorial! I found it on Pinterest and used it to make my Mom her Mother's Day present. She LOVED it. I posted my pictures on my blog and linked to your tutorial if you would like to see it. I'm going to make this bag from my Dad's old uniform. If it works out ok I'll make one each for my brothers too. It will be a nice way to remember him. To any that say it's disrespectful - tough luck. I am having trouble finding the pdf pattern. Really want to make this. Such a cool idea! i HAVE to make one.....I'm thinking it would come out pretty cool if made out of canvas fabric and hand painted it. Would you suggest painting it first or making the backpack and then painting? Thanks! BTW...kinda obsessed with your diy's! Could you give us the dimensions of the front/back and pocket, along with the diameter of the circle? It's too hard to understand and get a clear reading from only the pattern. I'm having trouble with sewing the liner to the bag. What do you mean by the 4 inches you pull "it" through? Can you explain more? Thank you! I was a little confused with the pattern (I'm a beginner), could you give the dimensions of the front/back piece? It is looking nice and i liked it very much. Want to make it but has no measurements into how long the width and the high is..... Help? 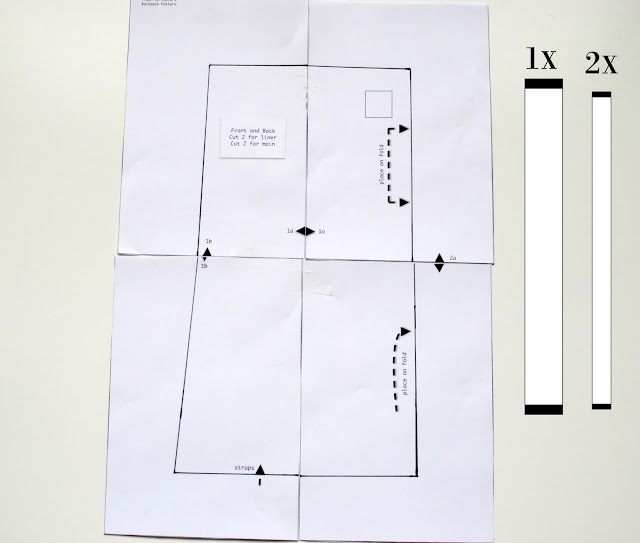 The measurements are fitted on the pattern piece, it should measure on a normal piece of paper. I made one using some thrift store fabric and a few modifications to personalize it for me. Thanks so much for posting this tutorial! I can't get the pattern PDF to come up! help! i just started making my own dresses and such, and i would LOVE to make one of these for myself!!!! where did you find that fabric?!? Really nice tutorial. Thanks for sharing your talent with us! 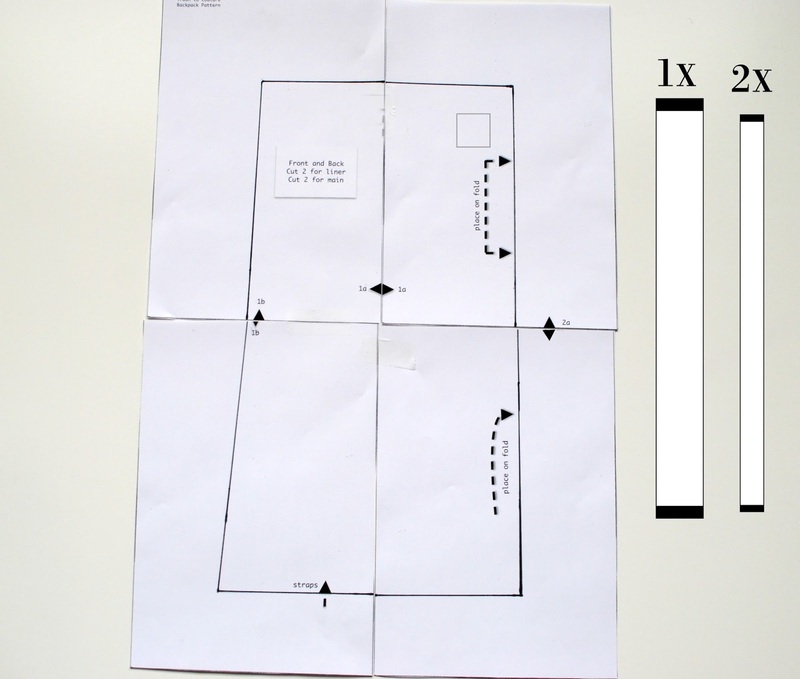 if you print it out as is on a normal sheet of paper, that should be the correct measurements. hey laura, best looking diy backpack i've found and i like the description.. but as a guy who has never really been able to sew a lot of stuff, i was wondering if you have some sort of pattern that you could forward to my e-mail address, making it a bit easier for a beginner? Hi, love this backpack! My printer is not working so I am going to try and draw out the pattern, myself. One question though: Is the bottom of the bag a little bit bigger than the top of the bag? On the pattern, the front/back pieces, the width on one side looks to be slightly shorter than the other side. Is that right? So, it's not a perfect rectangular piece? I want to make sure with you before I go any farther. I don't want to cut this out and then it not sew together properly. Help! Thanks so much for this tutorial, I've made 2 for me and 2 as gifts! Do the straps get attached to the same side on the top and bottom? The picture looks like the straps are attached to the "inside" part of the main fabric panel. 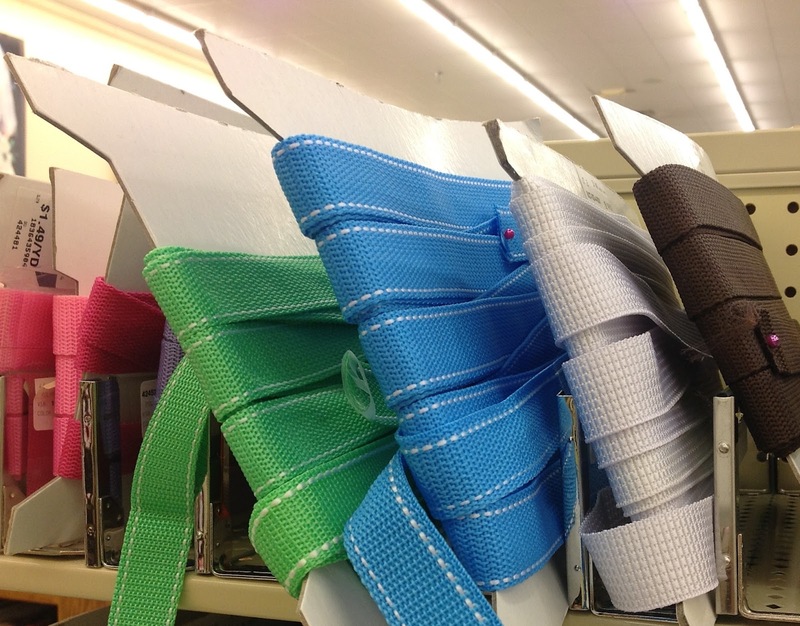 Maybe this question has already been asked, but I will ask it again... What type of fabric would you recommend? Hello! I love your diy very much, but i have a little problem. I cut the front and back panelas, and a half circle for the bottom. Do i need to half circles and i have to sew them together? because if i try to work with the half circle i can't do the bag. Or I need more than 2 mainfabric? love this, I don't want to cut this out and then it not sew together properly. Help! This is such a great little tutorial! Thanks so much for posting it! I read through the comments and didn't see thmy question yet, sorry if I missed it. I see you said you used the faux leather as the bottom, am I correct in assuming the gold lining is also faux leather? Hello! I love this diy, thanks for posting! I looked through the comments and I don't think my question has been asked yet. You said you used faux leather for the bottom of the bag, am I correct in that the gold lining was the same faux leather? trouble printing the pattern to scale. I measured the pieces and got the following measurements: (2) 12" by 24" on fold (back and front); (pocket) 11 I/2" by 12 3/4" on fold and (bottom) 15 1/2" diameter on fold. Is this correct for measurements? It sounds a bit large; but maybe not when made up. I plan on making several from a variety of heavy home dec fabrics in my stash for the Foster Closet of Michigan organization. Thanks for your help. I can't find a printed pattern for this adorable back pack....help! https://www.etsy.com/listing/469183467/diy-backpack-pattern-by-trash-to-couture?ref=shop_home_active_1 here is the pattern… it's instant download. i cant quite tell from the pics...is the seam allowance 1/2 inch? do i ADD seam allowance to the pattern pieces or is it already figured in? The bage pocket is really useful for those who carry many smartphones or big tablets. The fashion accessories help to look trendy. I also purchased some fashion accessories using coupons and discount codes cupshe coupons I got my savings you can also get the maximum savings. We are always here to help you if you are facing some problem regarding apple products like iphone,MAC etc. Creative one!! I will try it soon. Certainly a Good idea. We may also add other transparent fabric on top of this to make it waterproof. Literally I like your website and its latest post which provided always latest and treand information, Which help us to know more thing which is actually doing in world , I hope your this types of lifestyle post like a lots of people. You would always look for the most reliable service upon which you can rely. We care about your requirement. our expert team has exceptionally skilled issues of the Belkin Support. To help you in reaching us without much difficulty we offer you Belkin Router Support Number is the best service provide, I need to help with 24*7 hours Support. Loved your DIY backpack Tips. or your existing Extender Setup is now at your fingertips. You just need to follow the manual steps or if you want to go with us, you are more than a welcome. 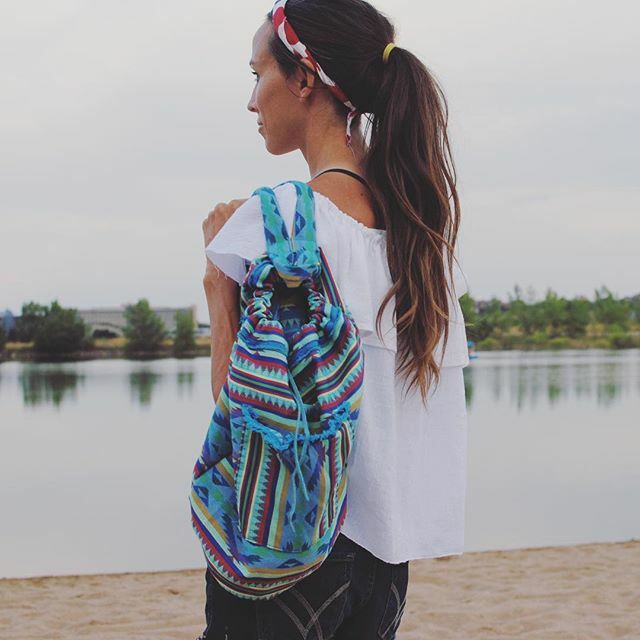 This is really a great backpack with a colorful design. I am also buy this type of bagpack from myntra with using of Myntra Coupon. I really appreciate your post. Thank you for sharing such an useful information. Impressive design Tips for brochure design.If you wondering for more wonderful design tips. This is very good post i have read i must appreciate to you to written this for us. If you want to find the best Vumoo alternatives, you can visit our blog.